October 2018, FLOW planted more than 100 trees between a variety of schools, including Gables, Maize, and Salem Elementary as well as Hamilton Stem Academy. 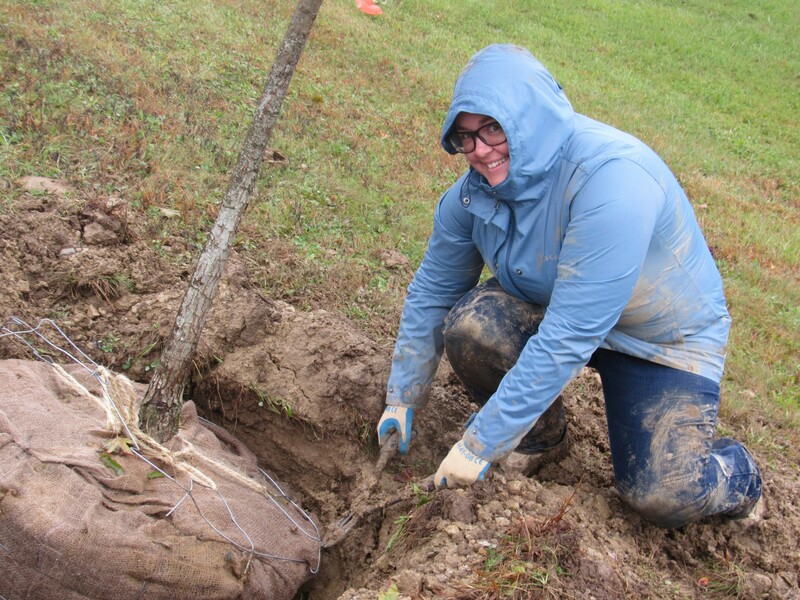 Against all odds (cold, rain, and mud) these tree plantings were a success thanks to the efforts of Nisource, the Columbus Young Professionals, and other volunteers. The transition from summer to fall is beautiful to witness. During this time of year, the temperature is comfortable and the leaves take on a spectrum of warm hues. However, late August to the end of October is also the optimal time to plant trees. One reason why is that the air is cooler than the soil this time of year. This encourages root growth without top growth, thus young trees are able to develop a sturdy root system before growing upward. Additionally, the moderate temperature and fall rain help the tree to hold in moisture, reduce the risk of it undergoing heat stress, and give it the required support to grow during the spring season. 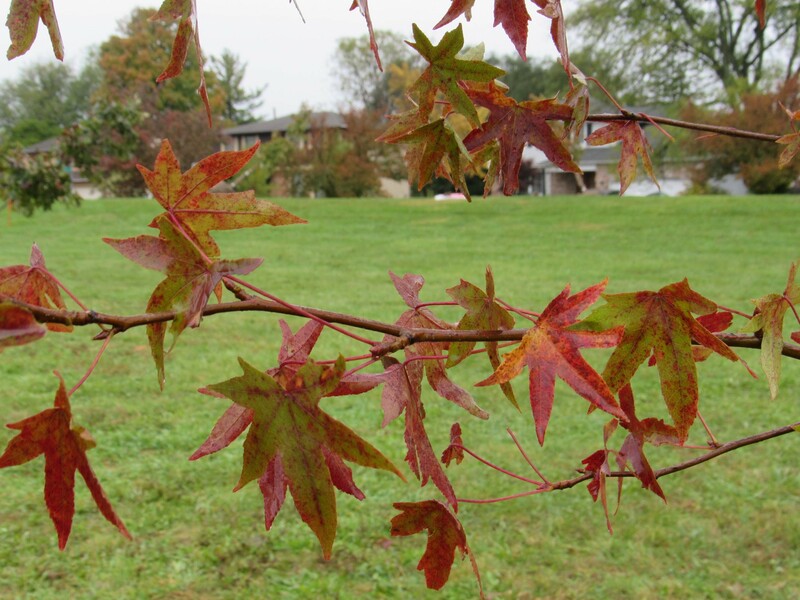 While some trees are easiest to grow in the spring, for many deciduous trees fall is the best time to plant. 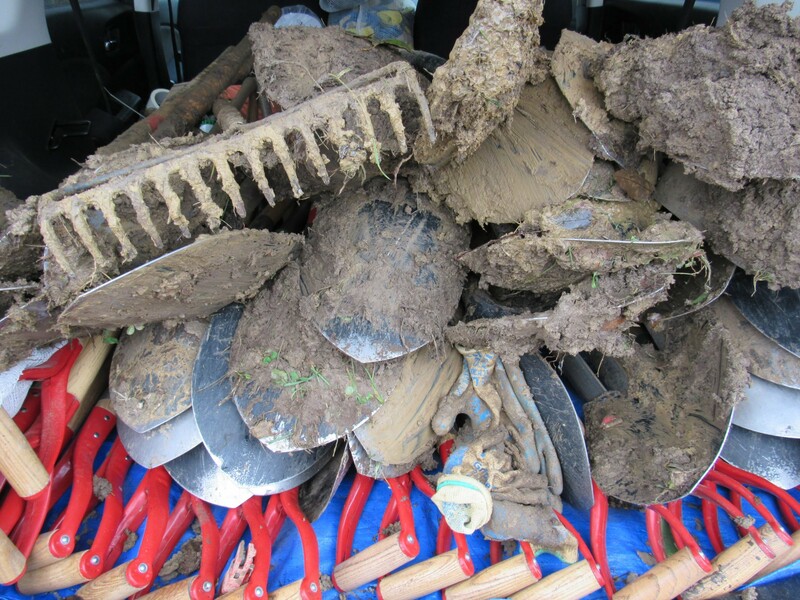 Once a person knows what season to start planting, they’re going to need some tools to prepare. Assuming they’ve got a hole and a tree already, they’ll need a shovel, wire cutters, stakes, a stake pounder, and tree tie. Also, they should make sure that they’ve got 2 or 3 other people helping out, as even the smallest trees can have heavy root balls. The first step FLOW volunteers take when planting trees is removing any plastic ties or sacks on the trunk. Next, volunteers carefully roll the tree into the hole. After that, it’s time to cut the burlap sack covering the root ball. Volunteers use a wire cutter to remove the wire from outside of the sack, then remove the nails holding the sack together. After this, it is safe to bury the burlap sack along with the tree. Once the soil is distributed so as to fill in the hole, it’s time to mulch the tree. It is important to make sure to pull back the soil and mulch from the base of the tree trunk so that the root ball is exposed, as this helps the roots to absorb water and exchange necessary gases with the environment. Now it’s time to stake. Staking is done by pulling a stake pounder over the head and then ramming it over a stake. This is best done using your body weight to propel the pounder unto the stake. It is helpful to use the two stakes to straighten out the tree, if necessary. Finally, the tree should be tied to the stakes. Knots should be tight and wrapped around the grooves in the stakes so as to reduce the risk of the tie slipping. It is recommended that the planter leave extra tie so that there is enough to retie the tree if the knots come undone. Lastly, safely dispose of all waste, including any plastic, extra burlap, wire, or nails. After this process, the first steps have been taken towards planting a tree that will benefit the environment, the neighborhood, and the lives of individuals for years to come. This not only helps people to breathe, but in the long run, helps to combat climate change. Trees absorb pollutants in the air and reduce runoff. 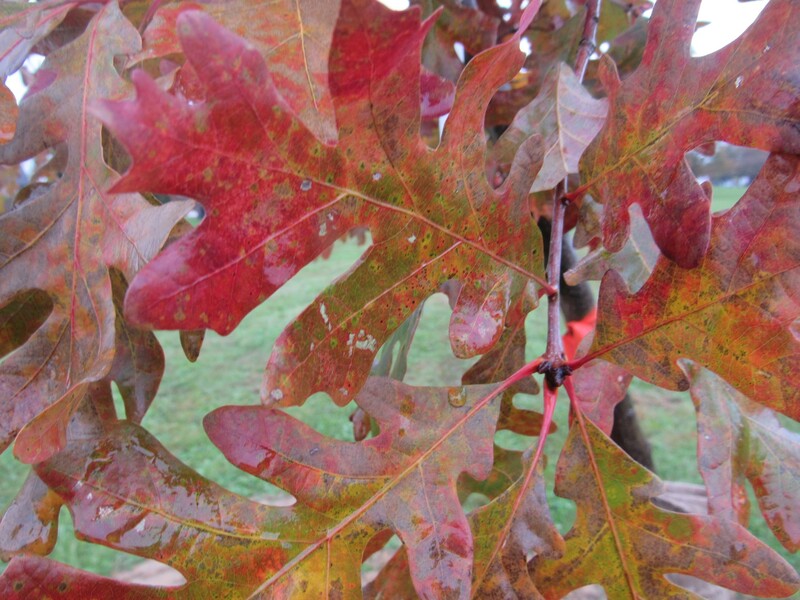 Trees also reduce evaporation on shady lawns and release moisture into the air. This helps keep the city cool on hot summer days and decreases the amount of energy used on air conditioning. Trees can increase the property value of a neighborhood and attract business traffic. It has been proven that trees help sick or injured people to heal. Trees are also good for mental health and well-being and help to reduce violence. 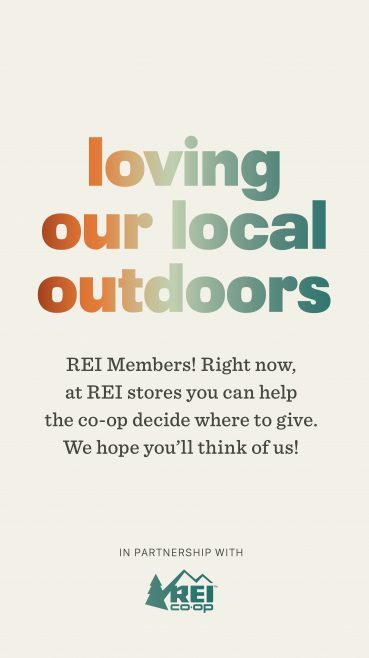 REI is inviting its members to help decided how to invest $15,000 for local stewardship projects in Central Ohio. Three central Ohio projects were selected and FLOW is one of the organizations and projects eligible for funding. 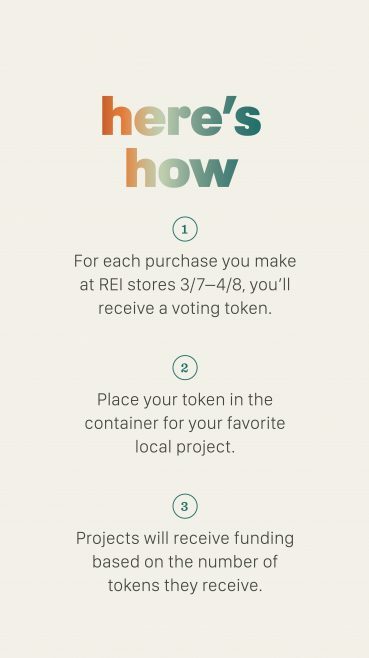 When REI members make an in-store purchase between 3/7 and 4/8 they will receive a token at the register. The token will be used to choose between 3 local stewardship projects via a simple in-store display. All 3 projects will receive funding, but the amount depends on the number of tokens received for each project. Central Ohio is growing and showing no signs slowing down. 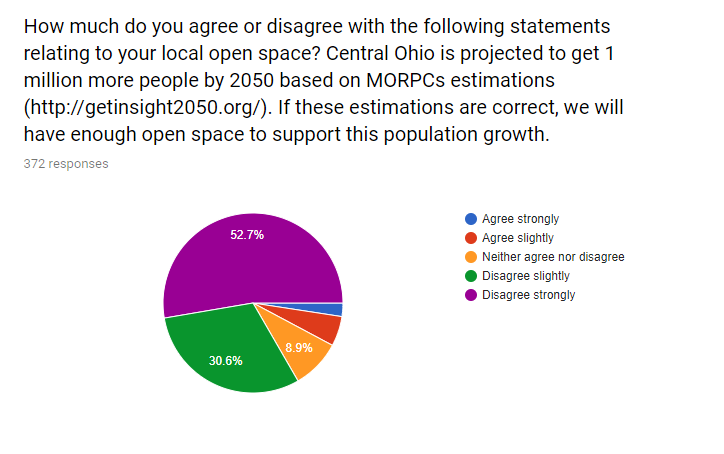 Updated projections are for another 600,000 more residents by 2050, increasing our region’s population to 3 million strong. In fact, Delaware County has been the fastest growing county in the state since the turn of the century. Such a prolonged population boom can fuel economic opportunity and optimism, but it also comes with challenges. 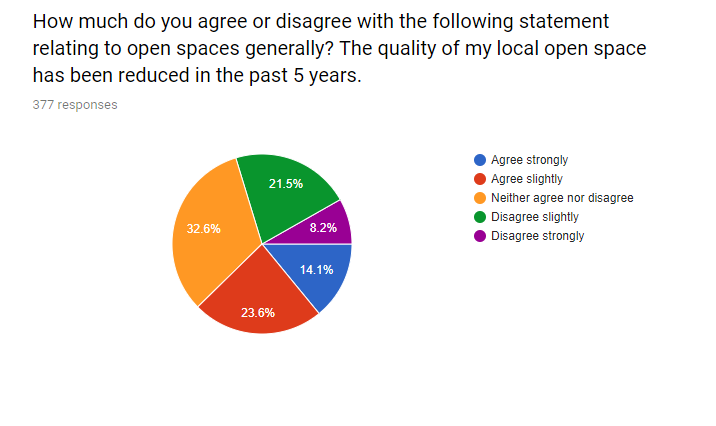 They makes FLOW’s work on the Lower Olentangy Greenspace Plan all the more pressing. 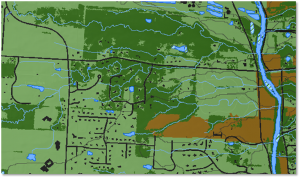 A recent milestone in the project was the completion of a GIS (Geographic Information Systems) database of the Lower Olentangy watershed. GIS technology allows us to organize layers of information into a unique visualization of the watershed. 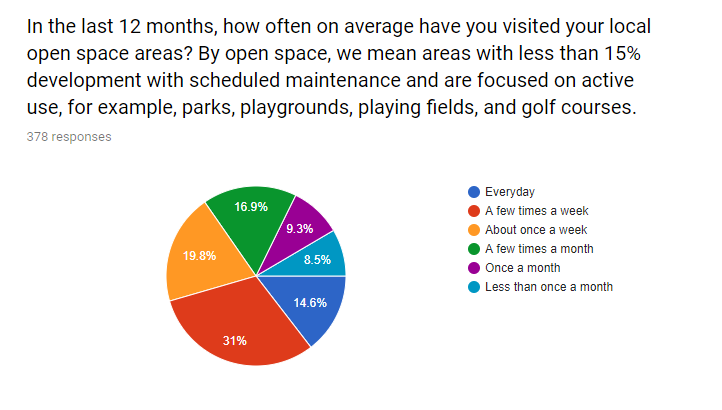 This can reveal deeper insights, patterns, and relationships that help us make more informed decisions. In a recent presentation to our partners, Ryan Pilewski, Watershed Resource Specialist with the Franklin Soil and Water Conservation District, revealed some first insights from the recently compiled baseline data. 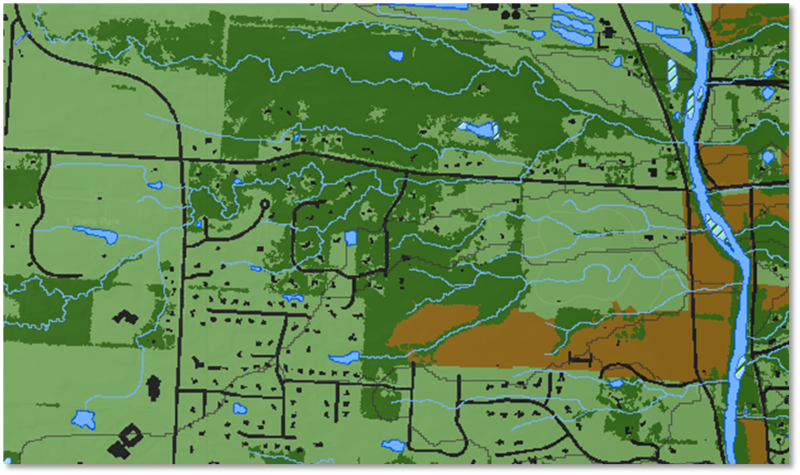 The initial analysis reveals about 20% of the Lower Olentangy watershed is covered by tree canopy, with substantially lower canopy cover in the highly urbanized areas. 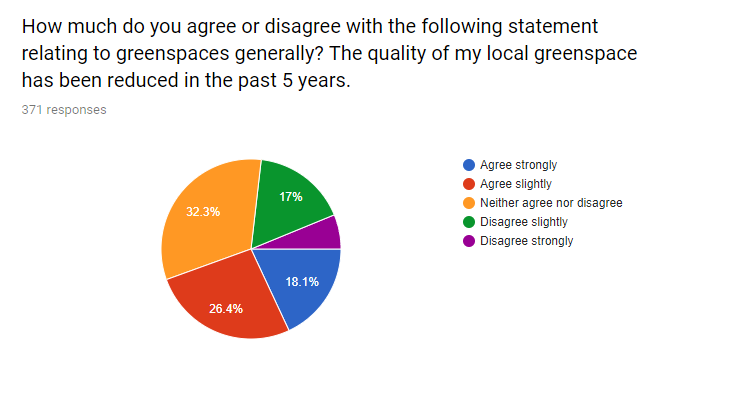 Research has shown at least 45% stream side forest cover is required for streams to have a healthy rating of “good”, so it’s something to examine if we want to adequately buffer our streams and rivers to ameliorate the impacts of future development. Meanwhile the entire watershed is 17% covered by impervious surfaces. This represents the sum of roads, parking lots, sidewalks and rooftops that prevent water from infiltrating the surface and thereby increasing storm water runoff. Resulting problems include increased flooding, higher temperatures, sanitary sewer overflows and decreased stream health. 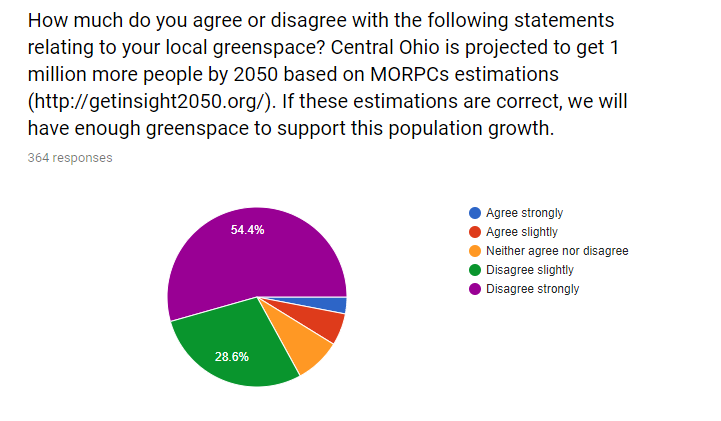 With global climate change increasing the frequency of heavy rainfall events in Columbus and an intensifying urban heat island, it could be time to accelerate greener infrastructure options or even consider removing pavement from sensitive areas. 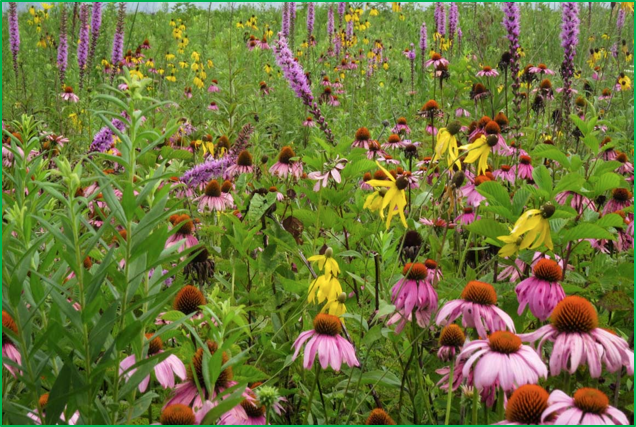 Only about 9% of the lands in the Lower Olentangy watershed have protected status. 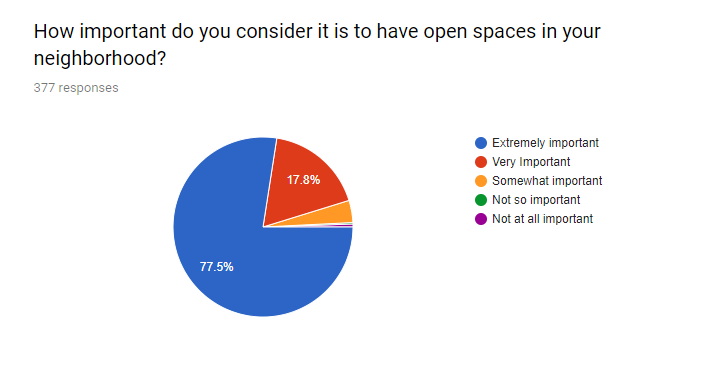 These lands include parks, trails, open and green spaces, and conservation easements. 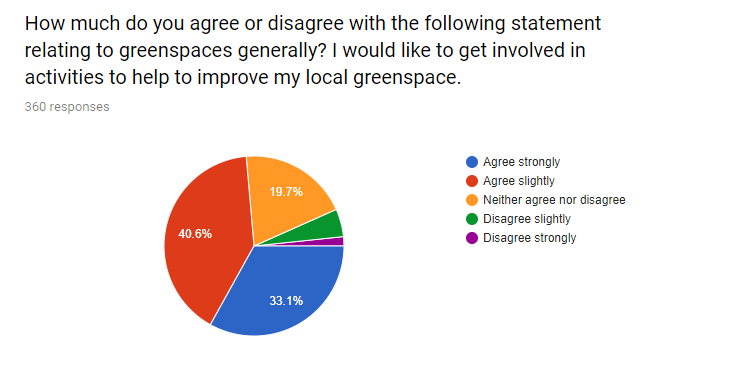 Ensuring we have adequate green space is of increasing concern amid the backdrop of strong population growth and development pressures. 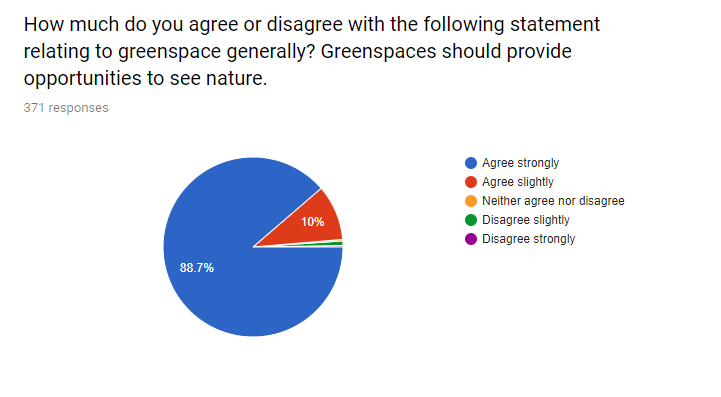 A growing body of scientific evidence confirms measurable human health benefits from green space. And it goes well beyond the need for healthy rivers and clean water. 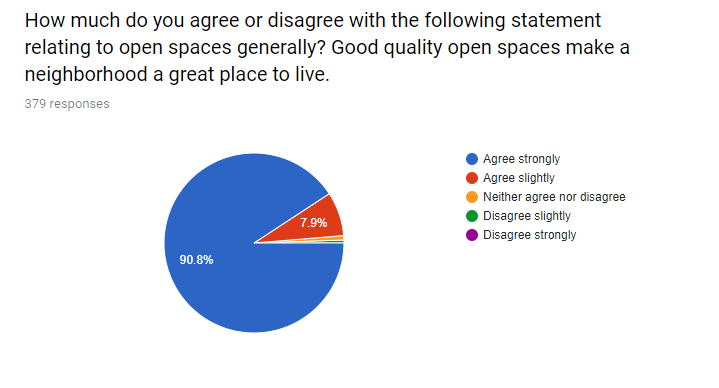 Natural spaces such as parks, urban forests, streams, and trails improve health, reduce stress, and can move the needle on disease prevention. So investing in green space makes us – and our communities – more resilient. 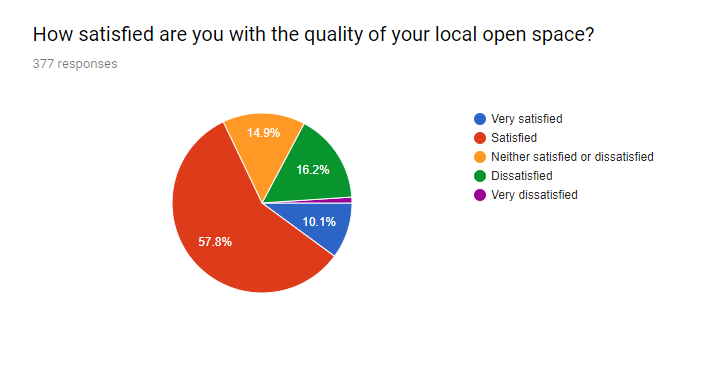 What can we take from these first data insights? 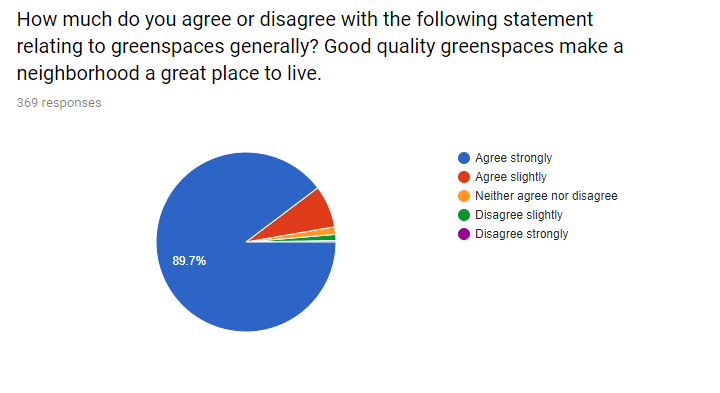 The Lower Olentangy Greenspace Plan project was designed as a proactive planning effort to ensure that we have high quality natural space to protect the Olentangy watershed, as well as enough recreational space for healthy human needs. The metrics can illuminate the value of accurately inventorying our existing natural resources, provide a framework to educate our citizens, and be used as a tool for prioritizing future preservation efforts. 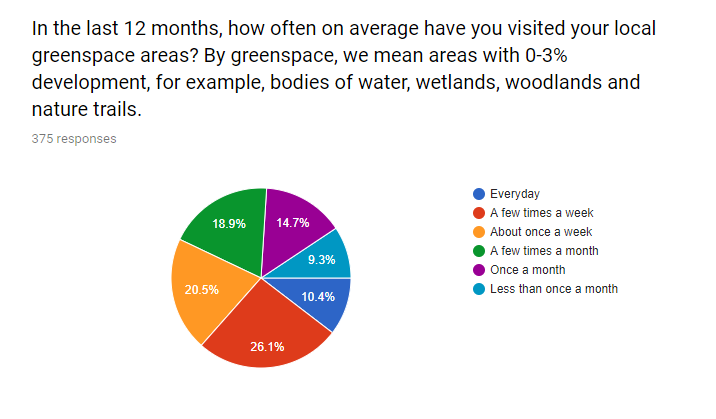 The FLOW Survey on Green and Open Space in the watershed is still active, to take the survey click on the button. 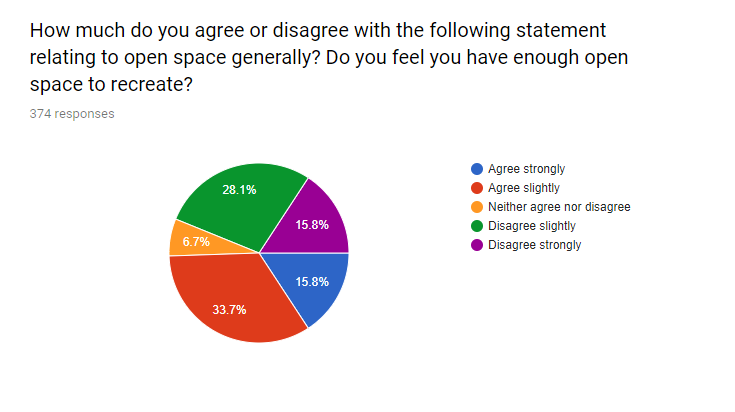 Shown below are survey results through March 29, 2019. 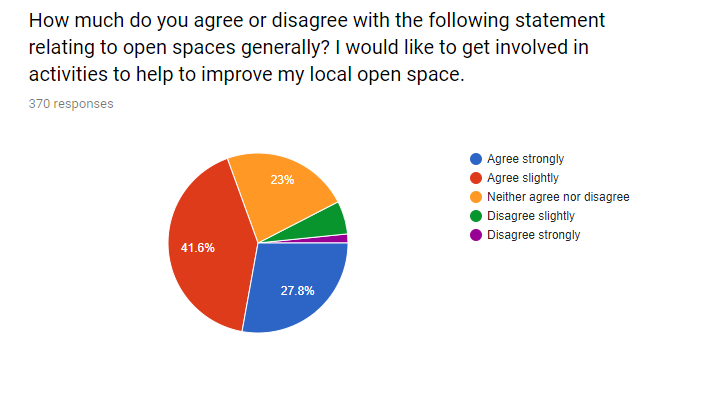 The survey is part of FLOW’s green and open space planning project. 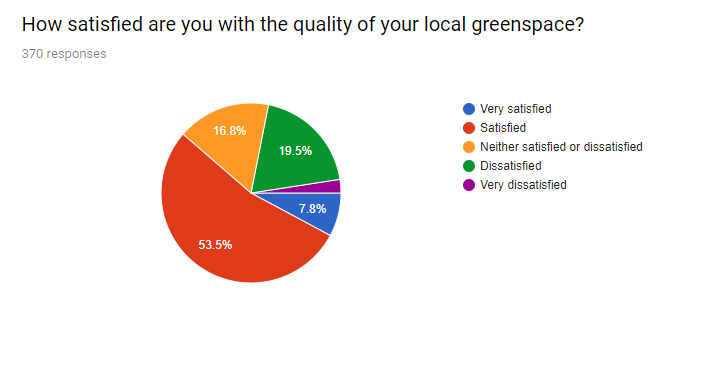 Volunteer Stream Quality Monitors from the Friends of the Lower Olentangy Watershed have sampled 21 locations at 11 Olentangy River tributaries in the past two years. The sites are sampled for various organisms that could be found in small streams, then assigned a score based on the number of different organisms found. The score is called the Cumulative Index Value (CIV). The greater the diversity, or number of different types of organisms found, the higher the cumulative index score. The scores for the CIV can range from 1 to 25, where a higher number reflects a higher diversity of organisms and is indicative of better water quality and habitat in the stream. Below are links to stream quality report cards for several tributaries within the lower Olentangy River watershed. 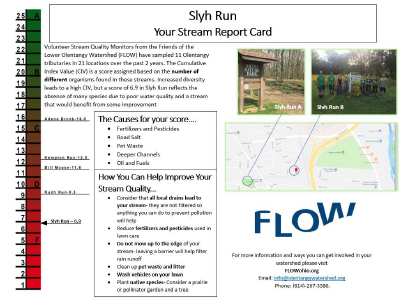 The report cards also identify specific causes of water quality problems in the stream. Friends of the Lower Olentangy Watershed will host Kent Halloran, from The Ohio State University College of Engineering, to speak on the importance of water conservation. He will provide a variety of strategies and techniques to save water without spending a dime! 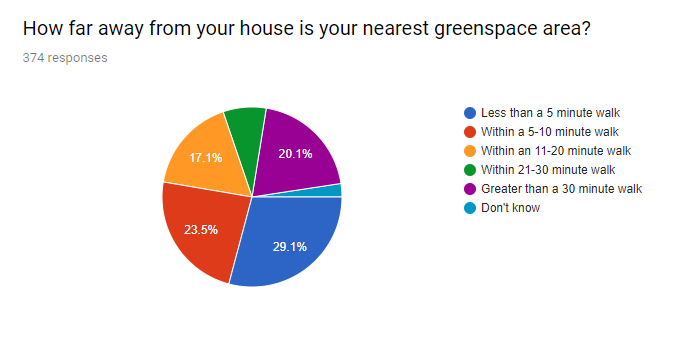 Topics will include: gardens and xeriscaping, grey water and green roofs. Kent Halloran serves as a water compliance engineer for OSU, where he researches water, environmental issues, and regulations. He is an instructor and lecturer with OSU’s Civil, Environmental and Geodetic Engineering Department, speaking on topics of water use, sustainability, and pollution prevention. Kent has a Bachelor of Science in Civil Engineering from OSU and a Master’s of Engineering in Environmental Systems Engineering from Clemson University. Kent is also a licensed professional engineer in the states of Ohio & Idaho, and a Board Certified Environmental Engineer with the American Academy of Environmental Engineers and Scientists. He has over 30 years’ experience in the design, construction, and rehabilitation of potable water, wastewater, and stormwater facilities. Please join us for this free public presentation hosted by the Friends of the Lower Olentangy Watershed (FLOW). Any questions? 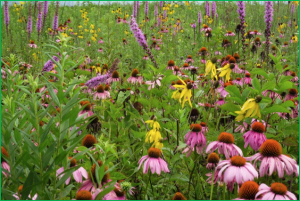 Please feel free to contact Matt Wolf at info@olentangywatershed.org. Thank you!